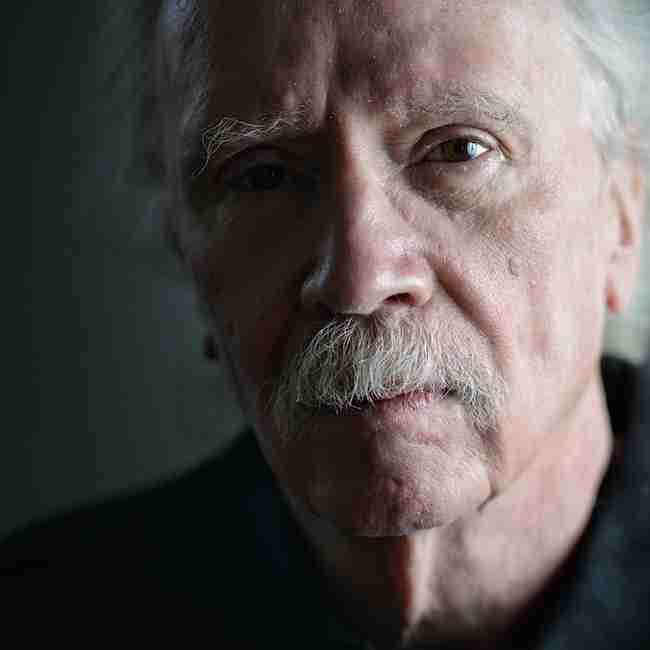 John Carpenter is one of the most influential filmmakers of the last 50 years. He began his career with Dark Star before making the cult classic Assault In Precinct 13. He then hit career pay dirt with Halloween, a horror film that transcended its exploitation limitations and became an unlikely blockbuster. The film launched the ‘80s slasher craze but there’s more to Carpenter’s film that cheap scares- there’s an artistry in the film’s wonderfully crafted tension and well composed anamorphic visuals. Carpenter went on to make several iconic films with Kurt Russell (Elvis, Escape From New York, The Thing, Big Trouble In Little China and Escape From LA) as well as a variety of other genre impressive genre entries like Prince of Darkness, The Fog and Mouth of Madness (amongst many others). Directing has taken a backseat over the last decade or so, as Carpenter has focused his attention on playing music and creating comic books. Movies In Focus spoke with John Carpenter about his recently released album Lost Themes, the changing face of Hollywood and the likelihood of him stepping behind the camera again. How did Lost Themes come about? About three years ago my son and I would get together and we’d play video games for 2 hours and then we’d go downstairs to my logic pro music computer set-up and improvise music for 2 hours. And over a period of time we amassed about 50 minutes worth of music. After that my son went to Japan to teach. I was just sitting on the music – not thinking about it particularly. When I got a new music attorney, she asked me ‘do you have anything new?’. So, I sent over the music that Cody and I had done – and about two or three months later I had a record deal. You got your love of music from your father. What was it about music that he passed on? He dedicated his life to music and he wanted to give it to me as a gift. He started by trying to teach me violin but I had no talent. I moved on to keyboards and guitars. I think he’s happy that I had my career and life. Do you and your son share musical tastes? Oh yeah. Growing up we shared. Nowadays? All sorts of different music. Rock ’n Roll, pop music. Who is on the John Carpenter CD or MP3 player? Jeez, I like a lot of people. Taylor Swift. I like a lot of her stuff. I never would have thought you were a Taylor Swift fan. Well..there you are. I am. I hear you’re a big fan of The Beatles – what’s your favourite album? Probably Help. It’s got ‘You’ve got to hide your love away’ and ‘Lose that girl’. Tell me about the concept behind Lost Themes? The album is all score. There are no movies I didn’t make that this score is from. It’s from the movie in your mind. The ‘Lost Themes’ was created by the record company. If you can just sit down and let your mind go and imagine the movie that is playing in your head. This is the soundtrack for it. It will transform you. Throughout my career I’ve cut movies and improvised music for it. It all comes out of instinct and that’s the joy of making this album. It’s all instinctual. It’s not thought out. Can people over think music? Not necessarily. There’s all sorts of approaches. This is mine. It’s strange that a filmmaker would compose music. How did it come about? It was necessity. When you’re making low budget or student films – you don’t’ have any money to pay a composer. So I did it myself. I’m cheap and I’m fast! What did your son Cody bring to the album? He’s an accomplished musician – more than I am. He’s accomplished on keyboards, drums – all sorts of areas. So he plays the hard stuff. Do any of your scores stand out for you? I don’t know. They’re so different. It’s impossible for me to pick one that I’m proudest of. They all have different functions. I’m happy with the work I’ve done. There’s so many great scores – Halloween Assault on Precinct 13. I’m a big fan of Big Trouble In Little China. You get across so much of the film’s mysticism in that score. Well thank you. I like that score a lot. Thank you. You’re very kind. I’ve noticed a lot of modern movies aping your style – have you noticed this yourself? I haven’t but people have told me that. Which ones do you think? That’s got a very ‘80s synth score. It’s reminiscent of your work. Cold In July. A British horror called Let Us Prey. Do you plan another album – a Lost Themes Volume 2? There might be. You don’t know. You just don’t know in this world. Never say never, that’s what I’ve learned. I think it would be fun to do. I’m just loving this. Some people release albums and then go on tour. Is that something you’d like to do – maybe play a club? For enough money, sure. You really can’t play this in a club. It’s too expensive. You’ve been working on a lot of comic books at the minute as well. What do you enjoy about them? I grew up a comic fan – and again they’re a different kind of art form. I have a lot of friends in comics and I’m enjoying it. Are you a fan of any current titles? I’m reading a comic called Haunted which I really love. Do you draw at all or are you just the brains behind it? No, no, no, no,no. My wife’s the brains behind it. I just sit there and watch basketball on television. And throw in ideas as it goes along? That’s it – you got it. You dabbled in TV with Masters of Horror. Is that something you’d be interested in? Sure. I’d love to do TV. There’s great writing in television. We’ve got several projects in development. We’ll see. You have to raise the money to make them so…that’s a different process these days. You haven’t been making movies as much in recent years. Are you just happy taking a backseat and play your video games and music? Sometimes two a year! Especially in the beginning. It was a relentless pace. It’s a tough gig. It’s not easy. The process of making movies is very intense. Very stressful. How has Hollywood changed in the last ten years or so? There’s enormous change. Big corporations. When I got into the business there were still heads of studios who loved movies. That’s not true anymore. That’s right. A lot of times it’s a part of another business. The way movies are made now days is so vastly different than the way they used to be. Big corporations, which don’t care about the movies. Which is the most important thing. They’re part of a whole. Too bad. Do you think you’ll ever step behind the camera again? Maybe. If I find something I really like that somebody wants to make. Poster For M. Night Shyamalan’s THE VISIT; Will It Be A Return To Form?